What happens when some of the most powerful names in media meet? 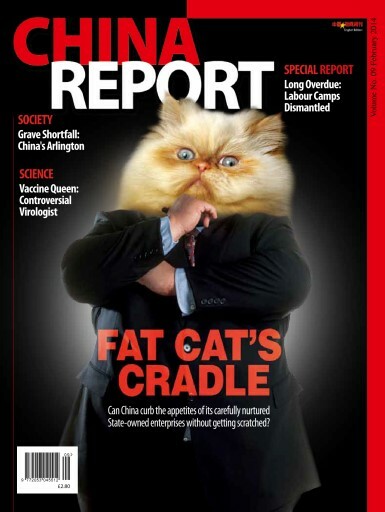 China Report provides some answeres with an extensive coverage (P40) of the first UK-China Media Forum. Attended by UK Culture Minister Ed Vaizey and Chinese Ambassador Liu Xiaoming, the Forum has seen some of the most impassioned debates of the day. We also look to the future of China’s State-owned enterprises (SOEs) this month (P12). As China’s public sector shrinks, what fate awaits China’s so-called “Children of the State” and their employees? And with the Year of the Horse just upon us, turn to page 68 for some lighter reading on the future prospects of Chinese New Year in Britain.